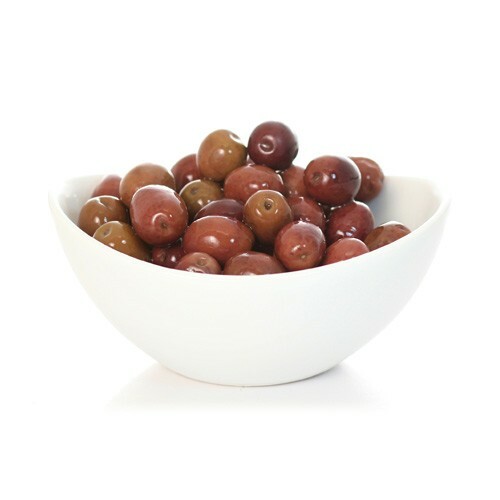 These small, round, mahogany colored olives are from Italy. Cured in brine and marinated in olive oil, these olives have a slightly bitter taste with hints of lemon and garlic. Serve as an appetizer or as an hors d'oeuvre.